The following report and recommendation relate to Tumuno petroleum . The planned project is to be fully implemented with an investment of N48, 985, 000 with a fixed capital of N32,750, 000 and a working capital of N16,235,000. The proposed project is to be located at Yenogoa, Bayelsa State Because of good infrastructure and ready market. This project is expected to operate at the installed plant utilization capacity of 65% at the inceptive stage, increasing to 75% and 85% in year 2 and 3 respectively. The financial position reveals a good liquidity and stability. The project turnover for 2015, 2016 and 2017 respectively is N158,688,000; N190,425,600; and N228,510,720. Net profit for 2015 is N3, 253,000, increasing to N4, 359,600 in 2016 and N5,717,320 in 2017. 1.7 The funding requirement is N48, 985, 000 which is expected to come from the Federal Government as grant for the Amnesty re-integration programme. 1.8 The project competitive edge is the series of entrepreneurship training undergone under the re-integration programme as the residual knowledge of the entrepreneur. From the point of analysis of our finding, the proposed project/business is found to be technically feasible, financially viable and economically desirable. The project offers good investment benefit. We therefore highly recommend it for funding and implementation. Filling Station is a service oriented business whose main focus is the sale or marketing of petroleum products and other petrochemical by-products for automobile, household and industrial uses. To become a major petroleum products marketer and a household name in the sub-sector in the South-South and South-East Nigeria. To provide quality petroleum products that will meet the demands of the consumers at competitive prices continually. The registration of the planned business with Corporate Affairs Commission will be undertaken as soon as fund for the implementation of the project is available to give the business a legal status. The promoter wishes to locate the business in Yenogoa, Bayelsa State because of existence of infrastructure and strategic nature of the place. The main products of the planned project are petrol (PMS), diesel, engine oil, gas (AGO), kerosene and hydraulic. Services such as wheel balancing and alignment, and vulcanizing will be provided. There is also plan to have a mini mart for the sale of sundry items that may be required by travelers. Our target customers will include vehicle owners, okada and keke riders, households, individuals, corporate organisations, etc. Nigeria being a mono economic country, the petroleum sub-sector is highly competitive. Every economic activity is propelled more or less by the petroleum sub-sector. This sub-sector experiences new entrants on a constant basis. The promoter is well aware of the level of competition and will compete through excellent service delivery and product availability. 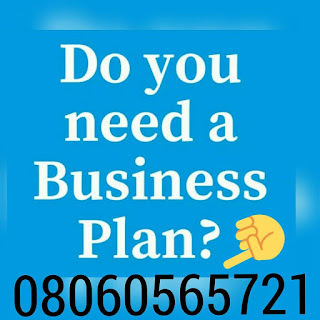 After payment text your names, your e-mail address and what you paid for to 08060565721 and you’ll receive your PETROL FILLING STATION BUSINESS PLAN FEASIBILITY STUDY PROPOSAL.